Jerome Corsi is acknowledging his memory could be faulty when it comes to conversations he had with Trump confidant Roger Stone during the 2016 presidential campaign. During a whirlwind media tour, Corsi claimed Stone asked him to contact WikiLeaks on Oct. 7, 2016, to begin releasing emails as part of an effort to distract from the infamous “Access Hollywood” tape. 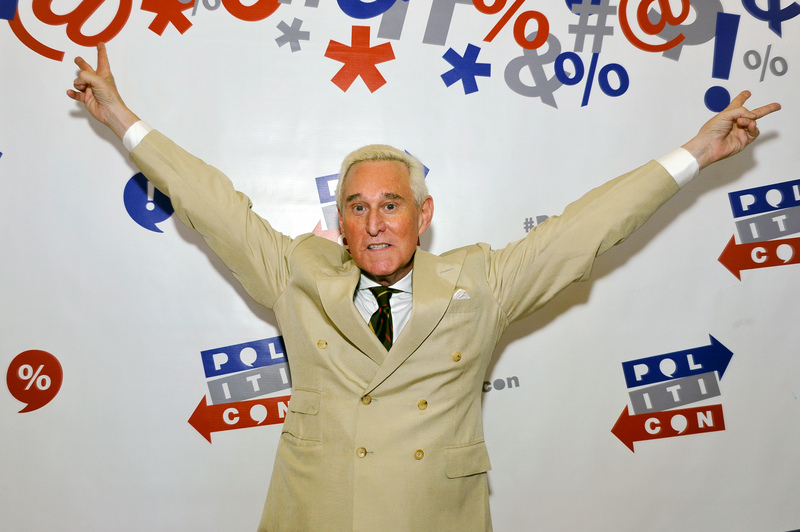 For weeks, right-wing author Jerome Corsi alleged Trump confidant Roger Stone asked him during the 2016 presidential campaign to try contacting WikiLeaks to distract from the impending release of the infamous “Access Hollywood” tape, which showed then-candidate Donald Trump speaking crudely of women. Nevertheless, Corsi repeated the allegation and several others in numerous TV interviews and in his new book that seems to undercut Stone by accusing him of taking part in several cover-ups. But now, the former InfoWars correspondent is acknowledging his recollection of events could be wrong, while Stone could be right. Corsi and Stone have exchanged legal threats in recent weeks over Corsi’s public statements about the “Access Hollywood” story. Stone has called Corsi a “Judas” and accused him of lying in interviews and before special counsel Robert Mueller’s grand jury. Corsi has responded by threatening legal action against Stone. He has also recently accused Stone of possible witness tampering. Stone was indicted Jan. 25 on seven charges in the special counsel’s probe, including five charges of making false statements to Congress, one charge of obstructing an official proceeding, and one charge of witness tampering. He is accused of attempting to influence left-wing radio host Randy Credico to not testify before the House Intelligence Committee. Stone claims Credico was his source for information about WikiLeaks’ plans to release information on Hillary Clinton during the campaign. Credico has denied the claim, though text messages he exchanged with Stone showed he provided insights into WikiLeaks’ activities in the run-up to the release of the Podesta emails. Prosecutors want to know whether Stone had another back channel to WikiLeaks, and whether that back channel was Corsi. Stone and Corsi exchanged at least three emails during the 2016 campaign in which Assange is referenced. Stone also said in August 2016 that he had communications with Assange, who is living under asylum in London. But Stone says he was referring to his back channel, and did not have direct contact with Assange. Corsi also denies having direct or indirect contact with Assange. Corsi was subpoenaed in the special counsel’s investigation Aug. 28, 2018, and has since testified twice to Mueller’s grand jury. Corsi says he told Stone and other associates as early as August 2016 that WikiLeaks had John Podesta’s emails. Stone also denies those allegations. He claims Corsi did not tell him that WikiLeaks had Podesta’s emails. Corsi did send Stone an email Aug. 2, 2016, in which he said that “word is” Assange planned to release two batches of emails in October 2016. The email also refers to Podesta, but does not state that Podesta’s emails were among the documents to be released. Corsi now says he believes the email shows he was telling Stone WikiLeaks had the Podesta documents. Corsi maintains he was not told WikiLeaks had the emails. Instead, he claims he deduced on his own that WikiLeaks must have had the Clinton campaign official’s emails. Stone also disputes the “cover story” allegation. In Corsi’s telling, Stone wanted him to write a memo laying out Podesta’s various business activities in order to cover for the Podesta tweet. Stone notes that his tweet referred to “the Podesta’s,” as in John and his brother Tony Podesta. He also insists that he had no need for a cover story at the time because he did not receive heat for the tweet until after WikiLeaks published Podesta’s emails six weeks later. Corsi has faced little scrutiny about his allegations in his various interviews. Interviewers have failed to ask him to identify other associates with whom he claims to have shared his WikiLeaks-Podesta theory. Corsi also noted in an interview with MSNBC’s Ari Melber on Monday he has no proof to back up his claims. In his book, he writes he did not remember his interactions with Stone on the day of the “Access Hollywood” tape release until asked about it by prosecutors during a proffer session Sept. 17, 2018. Corsi testified to the grand jury four days later. Corsi does provide one detail in his book that could shed light on whether his recollection about Oct. 7, 2016, is accurate. Corsi writes that though he had no way of contacting WikiLeaks, he took part in a conference call with his colleagues at WorldNetDaily (WND), the conservative website, and mentioned Stone’s request. He’s said that he asked WND staff to attempt to reach out to WikiLeaks or Assange. Both WND employees said they are usually on the site’s daily editorial calls. They also said they do not recall Corsi saying anything about WikiLeaks having Podesta’s emails prior to their publication. Corsi’s attorney declined comment in response to a detailed list of questions about his client’s claims. Corsi did not answer a phone call seeking comment Friday. The battle between Corsi and Stone could end up being moot, given that Stone was not indicted on any charges related to Corsi’s grand jury testimony. Corsi has made that point in his interviews, noting the seven charges against Stone rely only on what Corsi wrote in emails.